Young Investors!- Make money in Malaysia and Singapore! : Hot Tip to Make Money! Hot Tip to Make Money! If you read newspaper everyday either in Malaysia or Singapore, you will certainly come across advertisement that promises you huge return if you attend their 'preview' seminar. They are offering 'insiders' secret' about property investment, online bussiness, FOREX, stock..... etc. I am certainly very interested to know more about this and actually I made my first step attending one of these previews two years ago. People want to make more money and certainly most of us want to make fast, easy and huge bucks if possible. I always believe that if you are to continue to trade you time for money ( what I term as 'rat race'), you will never make your first million before your funeral! Therefore, I like to attend these seminars to learn how people make money in their lives. By the way, I only attend 'FREE' seminars, and I never attend and pay money for the 'real' courses. Find a few good friends and pool all you money, if possible 30-40K and these must be in cash. If possible, get a banker or property agent in your group. 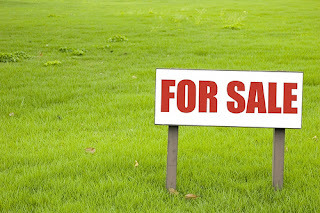 Sell your property ASAP and mark up the price for at least 20%. Get the profit and repeat all the previous steps. Sounds easy, right?? I know people are making money this way because there is no Real Property Gain Tax (RPGT) in Malaysia currently. You only have to pay stamp duty and legal fee, therefore, find a lawyer in your group if you can! Need money to start a bussiness? Can you make your 10 dollars become 15 dollars? ?